Spring is a music service and exercise tracker. Spring uses music and rhythm to make you go faster and farther - with less effort. 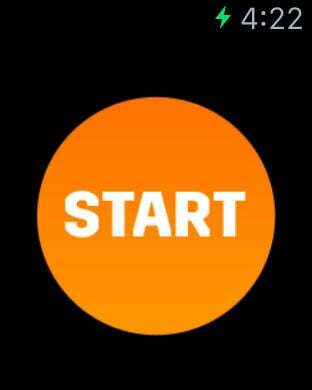 - MOVE TO THE RHYTHM: Run/Walk to playlists that match your cadence. - 50+ PLAYLISTS & STATIONS, sorted by genre, artist & BPM. New music added weekly. - IMPROVE FORM and reduce risk of injury by using the music to drive up your cadence. 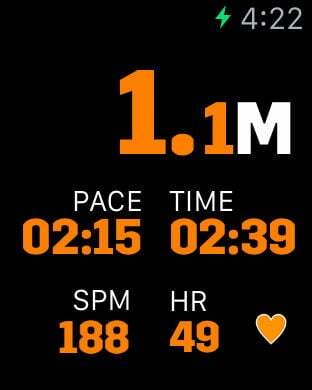 Spring automatically detects your cadence/steps-per-minute. Simply start moving and Spring will match the music to your rhythm. Change the tempo of your music during your workout. Track and save your runs, view distance and song based splits. Design your own interval training programs and let the music guide you between low and high cadence. Control your music, view distance, pace, and time directly from your wrist. Journal of Science and Medicine in Sport, 15, 52-57. Spring integrates with Apple HealthKit and Today Extension. Your $0.99 purchase comes with 20h of free music streaming. Spring will never interrupt your workout with ads. After completing your 20h free trial, you can get unlimited workout music for only $0.99/month. Your “Spring Unlimited” subscription will automatically renew each month and your credit card will be charged $0.99 (USD) per month through your iTunes account. You can turn off auto-renew at any time from your iTunes account settings. Your subscription automatically renews unless auto-renew is turned off at least 24-hours before the end of the current period. Your iTunes account will automatically be charged at the same price renewal within 24-hours prior to the end of the current monthly period unless you change your subscription preferences in your account settings. You can manage your subscriptions through your Account Settings after purchase. No cancellation of the current subscription is allowed during active subscription period.